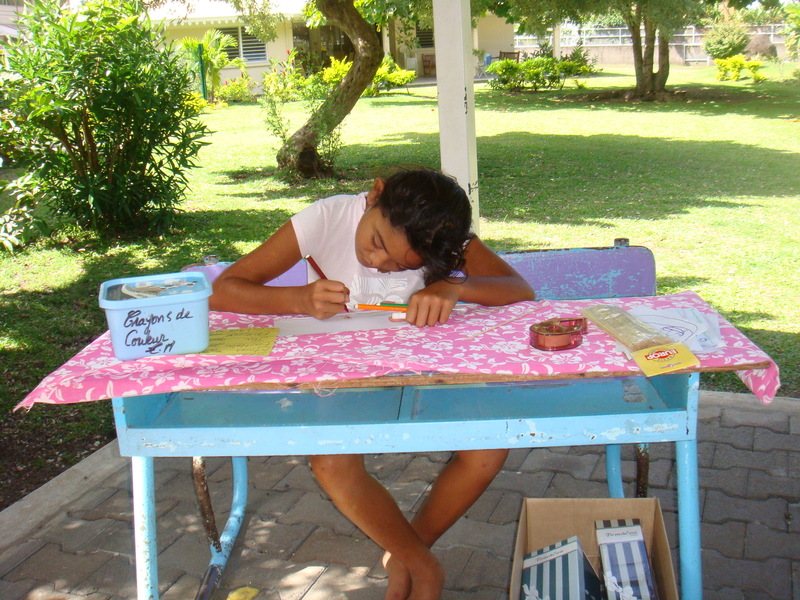 The local French Polynesian SOS Children's Villages Association was founded in 1994. The creation of the association was prompted by the social conditions on the island of Tahiti and the lack of adequate care for children who had lost parental care. Our organisation started working in Papara on the west coast of the island, where it supports children and young people in need. The Territory of French Polynesia, formerly "The French Colony of Oceania", is an archipelago in the South Pacific Ocean. The territory comprises five main groups: the Society Islands, which include Tahiti and Bora-Bora, the Marquesas Islands, the Austral Islands (which are sometimes known as the Tubuai Islands), the Tuamotu Archipelago and the Gambier Islands. There are altogether 120 islands, 25 of which are uninhabited. The islands have a population of around 295,000 (July 2011 est.). The island of Tahiti is the political and economic centre of French Polynesia. It is the most densely- populated and the capital city of Papeete, home to 133,000 inhabitants, is located here. In 1880 Tahiti became a French colony and the other islands were later annexed. In 1946, the country became an overseas territory and in the decades that followed it was granted increasing autonomy to rule over its own affairs. The lives of the people of French Polynesia have been marked by the recent political and economic instability. One of the main, and growing, challenges is the social inequality and wealth differences. On the one hand, the rich elites, including the French administrators, can enjoy a high quality of life in a beautiful surrounding. On the other hand, around a quarter of the population lives in poverty, and more struggle to make a decent living. The country's economy relies on tourism, the cultivation of black pearls and subsidies. Most formal employment is in the public sector. Due to its natural beauty and warm climate, tourism is an important source of employment and income. The service sector employs 68 per cent of the population. Around 13 per cent of the population works in agriculture, and industry accounts for 19 per cent of employment. The official unemployment rate is high, at above ten per cent, and underemployment is also a problem. At present, more than half of the population of French Polynesia lives in urban centres and the figure is increasing due to poverty and the lack of opportunities in rural areas. This rapid arrival of people into urban areas often leads to the creation of shanty towns. For example, over 20,000 people live in the slums which surround the town of Papeete. Demographically speaking, French Polynesia is a young country: around a quarter of the population is under 14 years of age, and 35 per cent are under the age of 20. Most children benefit from the high investment in health care - in 2008, 13 per cent of gross domestic product was spent on the provision of medical services. Mothers and infants have access to good health care, and the mortality rates for these groups are low. Children have to attend school for 10 years, but many poorer children do not complete this compulsory education. The lack of qualifications limits their prospects for future employment. The unemployment rate is especially high for those under 25: around fifty per cent of young adults in this age group do not have a job. 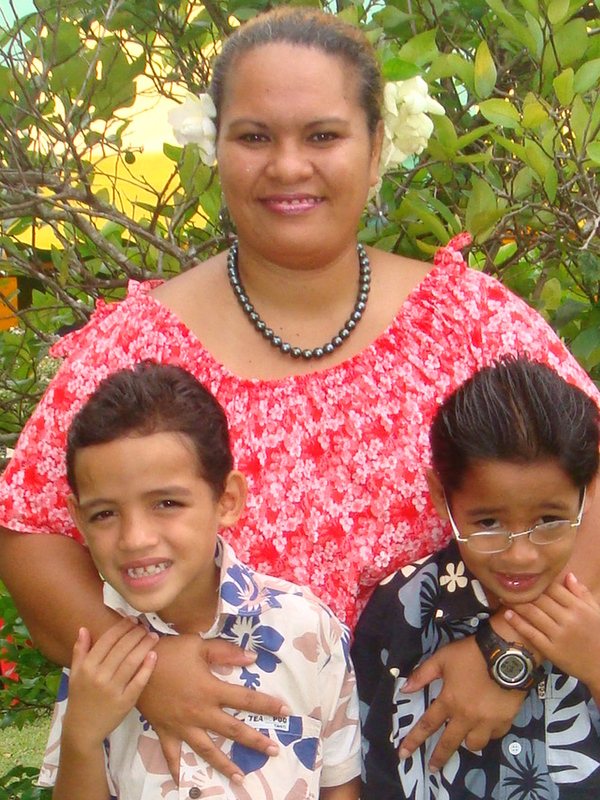 SOS Children's Villages has responded to the changing needs of the children and families of French Polynesia. Children who cannot live with their families can find a loving home in the SOS families, where they are looked after by the SOS mothers. As the children grow older, they can move into special homes which have been designed to prepare them to live independently. They are provided with the support and guidance of professionals until they are in an economic and emotional position to embark on an independent life.